Alexandra Rigney is a partner of Fleischner Potash, where she is a member of the firm’s insurance coverage group. 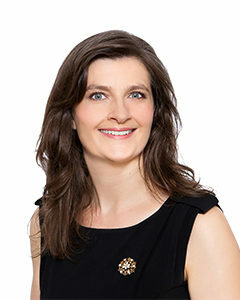 She represents domestic and Lloyd's of London insurers in complex insurance coverage disputes, providing coverage opinions and handling litigation, mediation and arbitration. Ms. Rigney also defends insureds against professional liability claims, with a focus on attorney and insurance broker malpractice, and employment and civil rights claims. Ms. Rigney was selected to Super Lawyers Rising Stars for Insurance Coverage in 2014, 2015, 2016 and 2017 and has an AV Rating, the highest rating, from Martindale Hubbell. New Jersey 2005 New York 2006 U.S.D.C. E.D.N.Y. U.S.D.C. N.D.N.Y. U.S.D.C. S.D.N.Y.